Bay View guests have easy access to many area restaurants, bars and attractions, so making the choice on where to go isn't always easy. 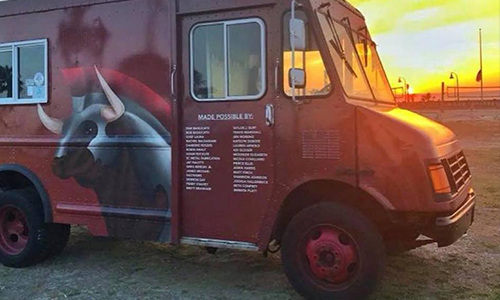 If you are looking for a quicker way to eat gourmet food, check out one of the area’s best eateries-on-wheels, the Trojan Cow, a food truck that specializes in serving made-to-order gourmet hamburgers. To keep up with where the Trojan Cow will next set up shop on the Grand Strand, check out the food truck’s Facebook page, https://www.facebook.com/trojancowfoodtruck/. And when you’re ready to plan your next Grand Strand getaway, look no further than the wide-ranging accommodations and luxurious amenities found at Bay View Resort on the Myrtle Beach oceanfront — book your Myrtle Beach vacation today!